There many TV boxes running either Android or Windows. Some of them have a standard design, and some of them look futuristic. Some are cheap and some are expensive. I guess all of you are aware of this, but every day a new brand rises and new products become available. Not all of them will become top sellers, but we are here to help you find those products that will be helpful in your life and won’t fork out you. Today we have stumbled upon an Android TV Box with a number of interesting specs you would like for sure. It comes our way from Enybox that is also known for its VR headsets, the Enybox EVR01 and EVR02. However, this manufacturer is more popular thanks to its TV Boxes, and it’s better to focus on the Enybox X2 TV Box now. This TV Box comes with such features that cause dual impressions – on one hand the Enybox X2 sports a design that can’t be called attractive, on the other hand it is packed with the latest CPU. So it is capable of providing a great displaying performance. But it won’t be correct to make assumption not looking inside. So let’s leave this venture and find out what the key features of the Enybox X2 TV Box are, and where the manufacturer has failed. Though no one can say the Enybox X2 sports an awesome design, it is stylish and looking at it we have a feeling we are dealing with a final device, I mean it makes us to think the manufacture has though to come up with such a box and it did. The box comes in black, but its bezels have a nickel cut. So this device won’t spoil your living rooms’ decoration and it will become an additional attribute in it. The top of the box is a bit concave, which makes the Enybox X2 look attractive, but I guess it will cause too much dust and housewives won’t like it. Anyway, the front side of the box carries a power button that is round and looks similar to Apple’s button on its iPads and iPhones, though this one is not depressed. There are also two notification lights (red and blue) next to the button – one is for status, while the second one shows whether you are connected to the net or not. The left side doesn’t carry anything, as all the ports and slots are located on the right side and on the back. First, the right side comes with a microSD card slot and two USB 2.0 ports, while an HDMI 2.0 port, an Ethernet LAN 10 to 100 port, an audio/video port and an optical audio, a power adapter port are placed on the back. There is also an external antenna. One of the selling points of the Enybox X2 TV box is the CPU it is packed with. Here we are dealing with one of the latest processors, the octa-core Amlogic S912H based on ARM Cortex-A53 and clocked at up to 2GHz. The H stands for Dolby and DTC licenses are paid for, thus audio down mixing will work for all apps. This new processor offers better performance in comparison with earlier models of this manufacturer. For example, this CPU has a 64 bit structure, a multi-core high pref 3D GPU, 4K p60, 10B, HEVC and VP9 decoding. Plus, it supports Dolby vision, HDR10, HLG, GMAC, and 10/100PHY. The security is at the highest level as it has an enhanced security cores. Being powered with such an incredible processor the Enybox X2 can provide an entertainment on a new level, i.e. this box will give you unlimited stream movies, TV Shows, sporting events, and games on a big TV screen. Many of you will reprobate me saying there are many similar TV boxes available in the market, but that’s where the trouble lies. Undoubtedly, the market is full of such devices, but most of them suffer of slow speeds, buffering issues, lack of a big internal storage, insufficient cache, poor 4K handling, and low graphics output. As for the Enybox X2, it comes with a 16GB of internal memory that can be expanded up to 32GB via a microSD card slot. Thus you can easily download games and play them on your big TV screen without worrying about the memory. As you know, when there is no more place in your storage it causes freezing up sometimes. So with a faster CPU and increased processing cores you get a higher quality graphics with the newest Mali T820 GPU running at up to 750MHz. This simply means you will have no problems when playing heavy graphics games and handling 4K videos. The Enybox X2 comes with a 2GB of DDR3 RAM, but there is an option to get it with a 2GB of DDR4, which is for the first time in TV boxes. Many people take into account whether there is Kodi pre-installed when looking for TV Boxes. The Enybox X2 comes with it, so this open source platform will help you accessing free streaming media shared by people around the world. At last, it supports multiple language and multiple format sub-title videos. I guess you understand, if the Enybox X2 supports the abovementioned options, it will have no problem with images as well. It supports MJPEG and JPEG unlimited pixel resolution decoding (ISO/IEC-10918) and JPEG thumbnail, scaling, rotation and transition effects. 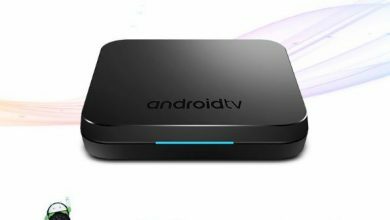 As for software, the Enybox X2 TV box runs Android 6.0 and Linux, this means almost everything you do on your Android-powered smartphone is available here in terms of media and playing games. Though there is an Ethernet LAN port to connect to the internet, but to avoid cables you can use WiFi connectivity option, as the box supports 2.4 and 5.8GHz wireless connectivity. You can either use Bluetooth 4.0, which is also present on the device. The Enybox X2 is not from the cheapest TV Boxes, and we haven’t expected it will come at a low price, right? This TV box supports many video and audio formats. It is great when handling 4K videos and playing heavy games. It runs Android 6.0 Marshmallow and it is powered with an octa-core processor clocked at 2.5GHz. All these features are enough to put this box among high-end devices. And when looking at things from this angle, $80 is a quite affordable price tag.